The Filmlosophers are a Chad short tonight, as Eddie Villanueva is riding solo at the helm, ready to land this ship of awesome conversationalism…oh, and he’s not alone! 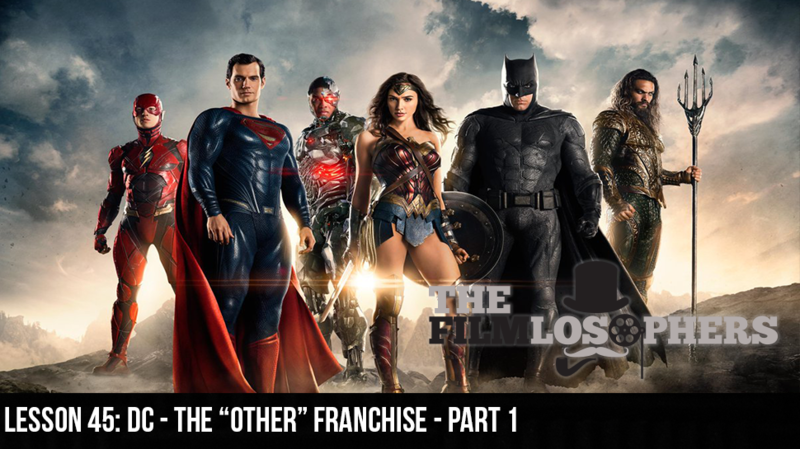 Along for the ride is first time guest, and die-hard DC fan and aficionado, Omar Marroquin,to get neck deep in discussion about the “other” franchise! We’ll discuss his fandom with DC, and what some of the misconceptions are in terms of the Cinematic franchise. Is there hope for the future of this franchise? Can DC and WB recover from this past year? We discuss this and more on tonight’s episode!